I have been so looking forward to this stage of the bathroom renovation. It was weeks ago that I thought the floor was going to see tile, perhaps I was being a little ambitious underestimating the amount of time it would take to tile an entire shower with subway tiles. But the time has finally come for the beautiful tile that I picked out 9 months ago to make it's debut, yes 9 months - I came across the receipt tucked into the boxes as I was tiling. I knew it had been months, I didn't think it had been that many! We found this tile at HOBO (Home Owners Bargain Outlet), it is one of those places that carry deals and overstocks. I was just praying we had the right amount of tile, because I knew that after 9 months, there would be no going back for more. Of course I had measured, and bought extra over my measurement. I just don't always trust my measurement. 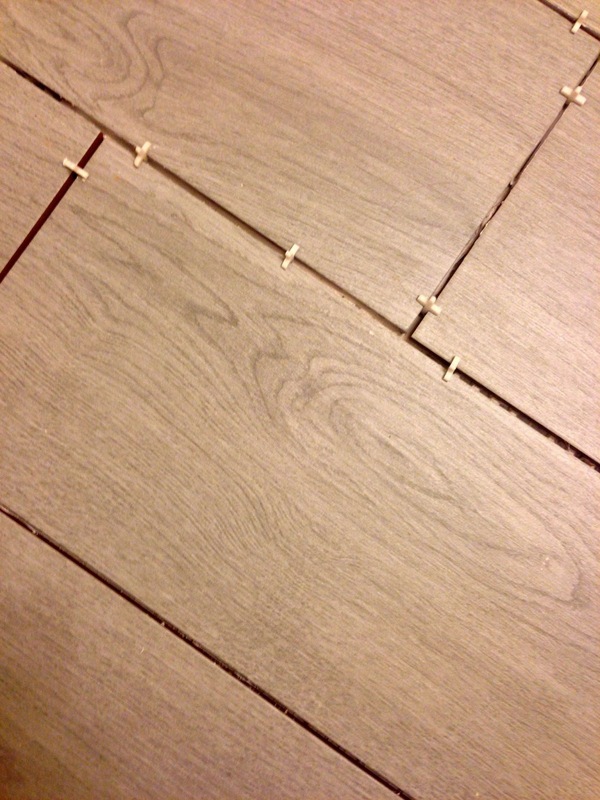 The tile has a wood grain in a weathered gray color, I absolutely love it! The bonus, it was only $1.69 a square foot. 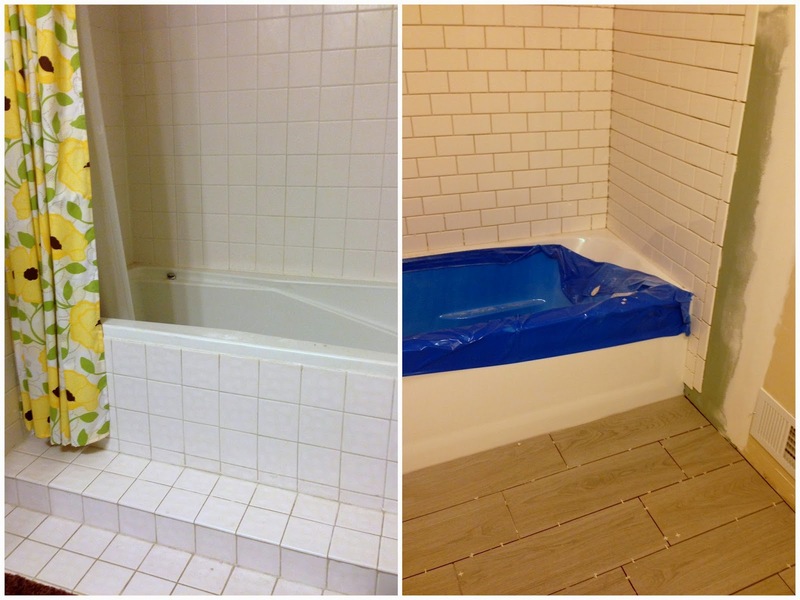 The nice part was after working with the tiny subway tiles, these large 8'' x 24'' tiles went in easily and quickly. I used 1/8'' spacers, just like on the shower. 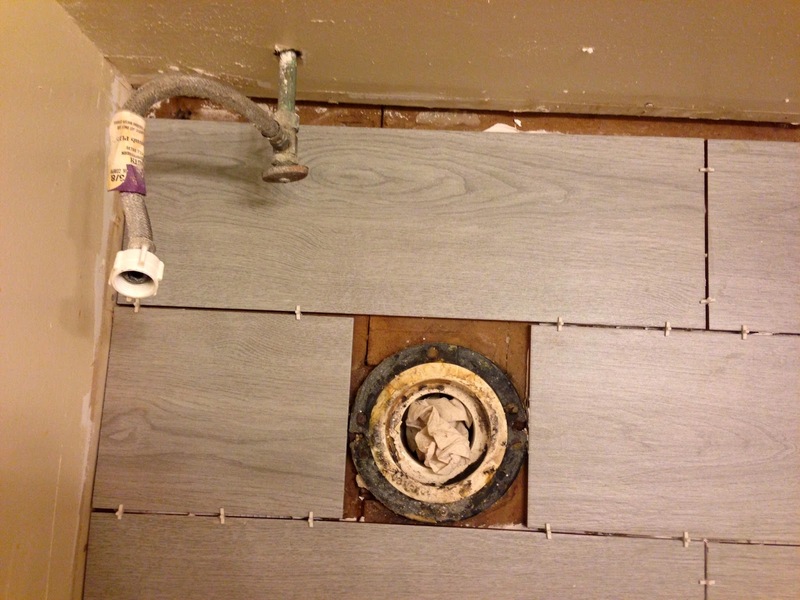 I installed it just like I would with a hardwood or laminate floor, staggering the "joints", or in this case grout lines. I got all of this laid in about 3 hours, which felt like a great accomplishment. And I was working solo, which mean making trips up and down stairs to cut the tiles. There is still a little bit to go, filling in around the toilet, and a sliver along the back wall. It is still such a work in progress, but it has already come so far from where it started. Check out the before, and where we are now. So much better. I can not wait to get some paint up on these walls! That is the next mission, that is once all the little tiles have been filled in around the toilet and back wall, as well as the few to finish off where the shower wall meets the floor. Can't wait! Love that flooring! I'll have to keep it in mind! You guys have done such a wonderful job!! Can't wait to see the final product!!! It looks great! Love the color of those tiles. Thanks Biana, me either! I'm so ready for the final product to be here! 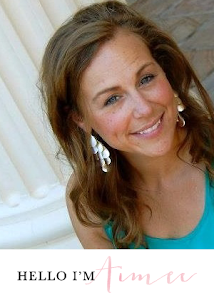 I came across your blog from My Fabuless Life and I was excited to see your bathroom tile! My hubby & I are working on our bathroom (though not as handy as you all I don't think!!) 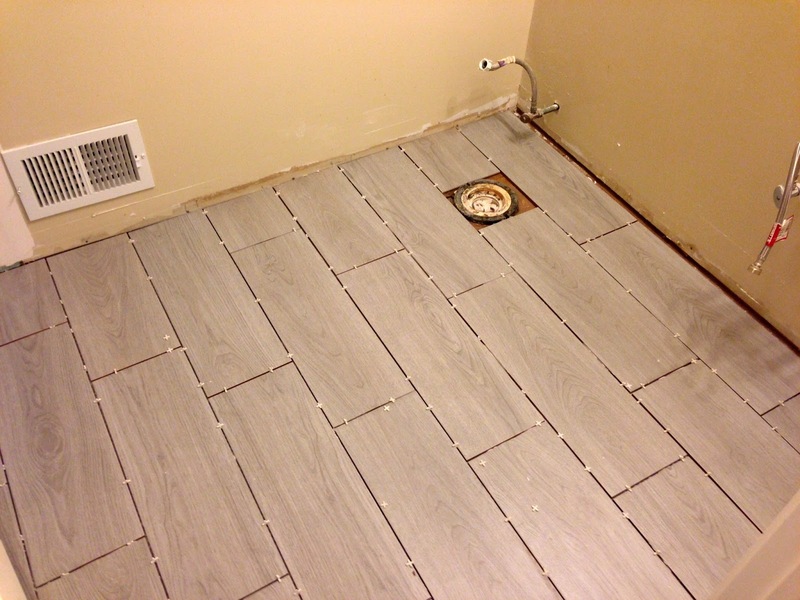 and just had similar tile put in (http://craftivitydesigns.blogspot.com/2014/04/bathroom-renovation-tile.html). 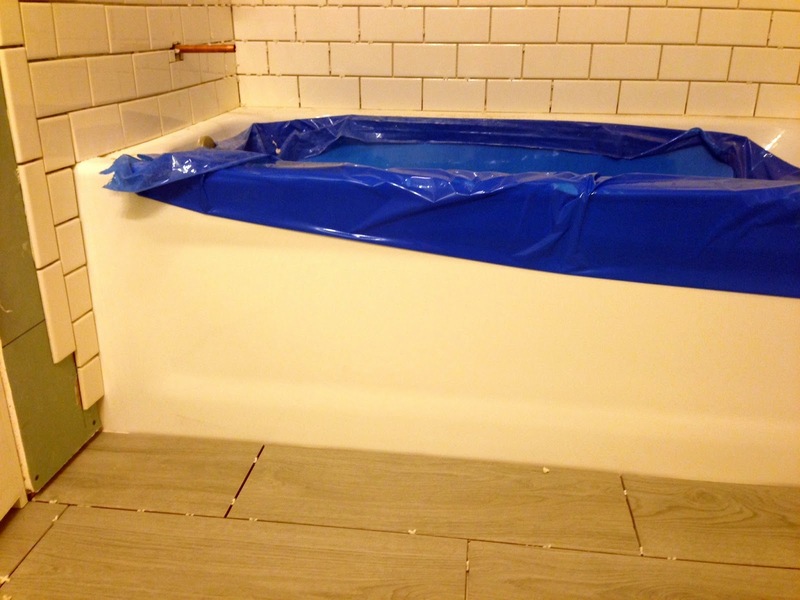 Our tub and shower tile were in pretty good condition, so we've left that; but we are renovating the rest. Following along so I can see how your bath turns out!